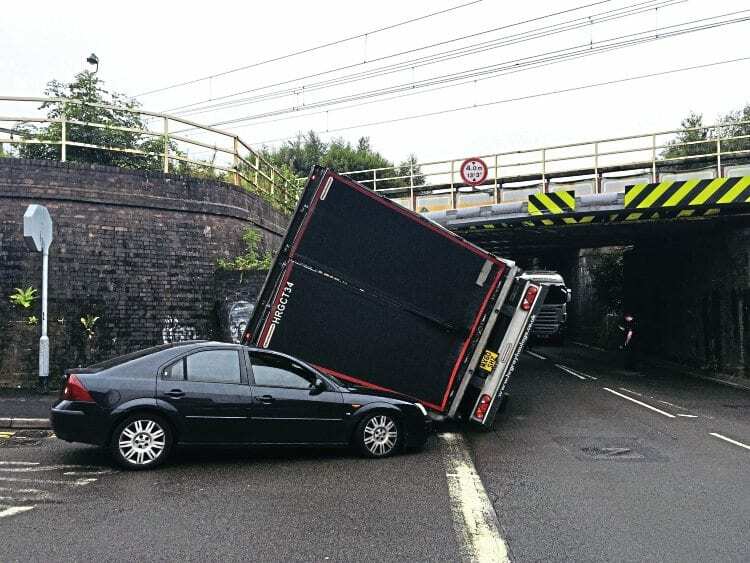 Overheight vehicles hitting railway bridges has become a frequent occurrence. Network Rail is working to educate the haulage and bus industry but also pursues compensation claims against the offenders. Chris Milner investigates. 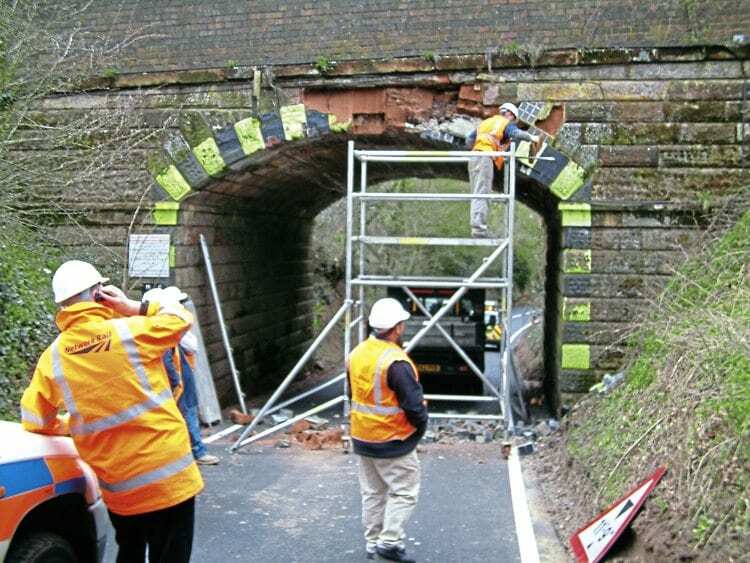 SOMEWHERE in the country, a railway bridge is hit by a vehicle every day. It’s a staggering statistic, and such incidents continue to be a significant risk to railway safety. 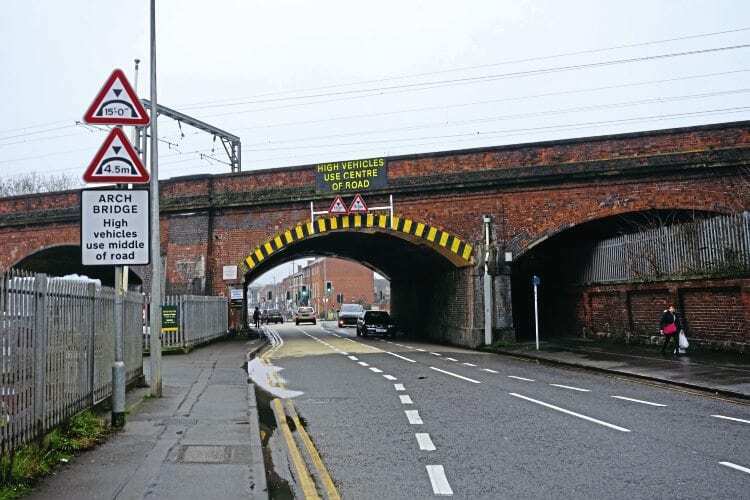 Official figures reveal bridge strikes outweigh level crossing incidents by a ratio of more than four to one. The Office of Rail and Road statistics for 2015/16 show that there were 1,753 bridge strikes, while level crossing incidents numbered just under 420. While the number of bridge strikes equates to nearly five each day, there has been a generally downward trend since a peak in 2007/08 of 2,374. Even so, more than 90% of bridge strikes affect rail overbridges. The majority of such incidents are caused by HGVs, but culprits can also include buses (around 40 such incidents a year), light vehicles and vehicles carrying plant equipment. Some years ago there was a minor incident at Atherstone where a caravan being towed under the 7ft-high bridge next to the station became wedged; so it can be all kinds of vehicle that put the railway at risk. Interest in why there are so many such incidents and what collectively Network Rail, local police forces and local authorities were doing to reduce them stemmed from a series of 11 incidents in 12 months affecting the same bridge over the A5 at Hinckley, close to my home. In the most serious accident, an HGV loaded with perfume aerosols burst into flames after the collision. 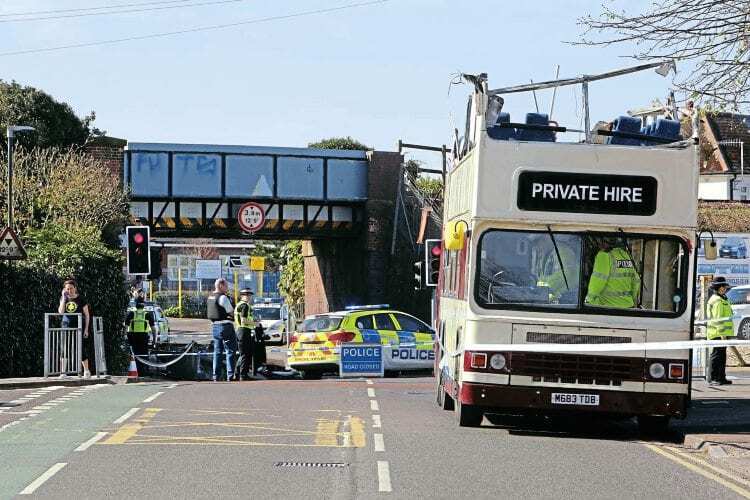 The vehicle was gutted and a major transport artery remained closed for around 18 hours, creating gridlock in both Hinckley and Nuneaton – each town having another low bridge over the same Leicester to Birmingham railway line. 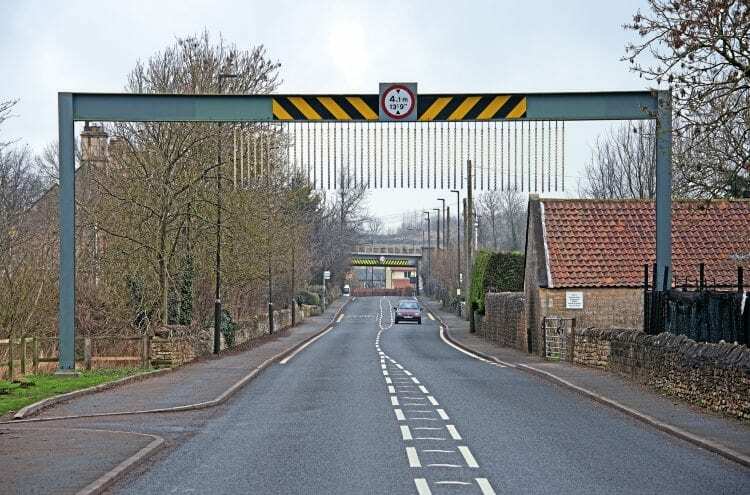 Incidentally, because this bridge has a history of strikes and is the UK’s eighth most impacted bridge, it does have overheight detectors on the approach, but whether they still work is unclear. It is also questionable why local authorities have permitted the construction of millions of square feet of warehousing and parcels depots along the A5 corridor between Birch Coppice (Tamworth) and the Daventry rail freight terminal, yet developers could have been told to fund a new bridge and road widening improvements for Watling Street, knowing the A5 is the main diversionary route when the M6 is closed. Clearly an opportunity missed. After the third incident in eight weeks this year, a dialogue was struck up with Dan Donovan in Network Rail’s press office and I was invited to meet senior asset engineer Mark Wheel, who worked on the railway for 36 years and has been a ‘bridge strike champion’ for the LNW route since 2008. A typical bridge plate detailing contact information to the Network Rail control room. One of his passions is heritage and structures, but Mark also leads a national campaign to raise awareness with hauliers, visiting leading logistics companies as part of a driver education process. In addition to Mark, the remaining seven Network Rail routes each has its own bridge strike champion, and best practice is shared. Mark told me on his LNW patch, there are around 110 sites that are frequently hit and his aim through truck driver education is to reduce this figure by 50%. As part of the education process, Mark has worked with companies like Eddie Stobart, as well as trade bodies – the Road Haulage Association and Freight Transport Association – making presentations, as he sees driver engagement and involvement as vital. Another part of the process is encouraging drivers to be aware of vehicle dimensions and checking the height with a measuring pole as part of the walk-round routine before setting off. That action, together with entering the height on a cab display, plus using a sat nav for HGVs, where routes avoiding low or narrow bridges can be plotted, is a step in the right direction. However, trucker sat navs cost £400 and when car sat navs are £50 or even free with smartphone apps, there is no incentive to use the right equipment. 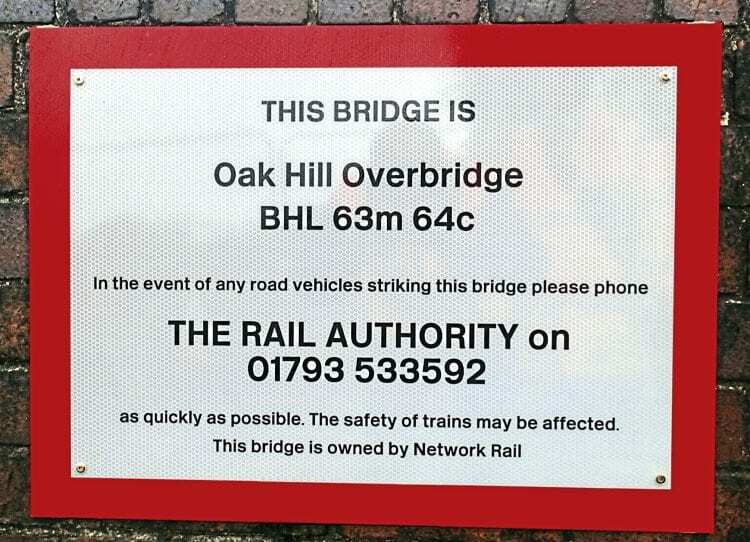 Every rail under and overbridge has a bridge plate giving the engineer’s line reference or location, together with an emergency number to call after a strike. Each rail bridge has been coded like signals – red, amber, double amber and green – so that when the call to control comes through that a bridge has been struck, a decision can be made whether trains are stopped ahead of a visual inspection by a trained engineer in the case of a red category. If it is amber, then the first train is cautioned and permitted to cross at 5mph, and if alignment is not affected, the speed is upped for other trains to 20 until a full examination takes place. A double amber bridge restriction is as per amber, but with subsequent trains at line speed, while a green is OK to continue at line speed. The categories depend on several factors, but with a steel or concrete bridge deck, there is a risk it may have moved on its bearing pads and the rail track has become misaligned or distorted, giving the potential for a derailment. Brick bridge arches tend to be more robust and less likely to move, but can suffer severe damage. 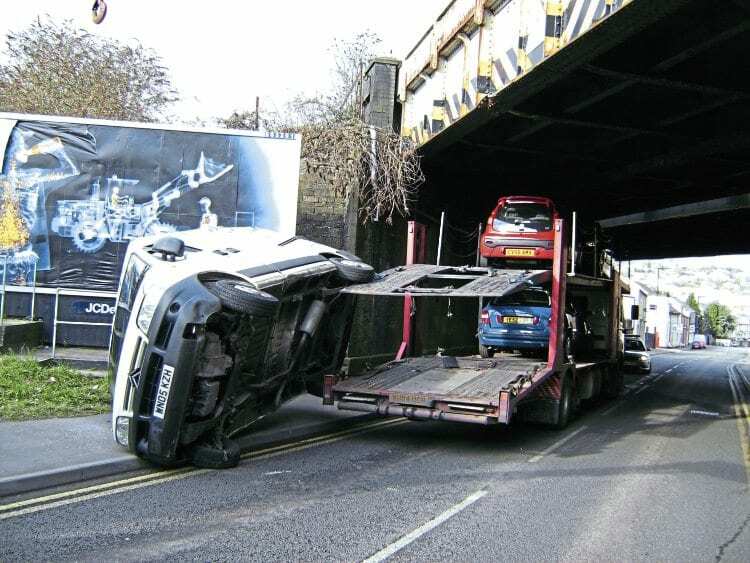 If the bridge is skewed over the road, there is a tendency that this will force the offending vehicle to overturn. After a strike, the bridge will need to be inspected by a bridge strike engineer (BSE) or a bridge strike nominee (BSN), who is usually one of Network Rail’s mobile operations managers (MOMs). It is the BSE or BSN who will decide if remedial action is needed, or the bridge is safe for trains to resume line speed, or further examination is warranted. While misalignment post-collision is rare, it is still a very big risk. On May 12, 1978, a low loader carrying an excavator hit a rail bridge at Oyne between Aberdeen and Inverness, moving the deck and buckling the track. Unbeknown to the driver who loaded the digger, someone had raised the boom, which hit the bridge. Faced with a decision of which way to run along the line to alert any trains on the single track, the driver unfortunately made the wrong choice anda Class 120 DMU, forming the 07.43 from Aberdeen to Inverness, was derailed as a result of the distorted track on the bridge. There were five minor injuries, and fortunately no fatalities. Back in 2006 when The RM and Virgin Trains undertook the non-stop record-breaking ‘Pendolino’ run from Glasgow to Euston, the train had just left Carlisle when news came through of a bridge strike at Wigan, which could have ended the non-stop run. Luckily, a MOM was close by and declared the bridge safe. In addition to the underbridge strikes, there are around 200 incidents where overbridges are hit and damaged, with debris falling on the track or a train. Two such recent incidents were particularly serious. 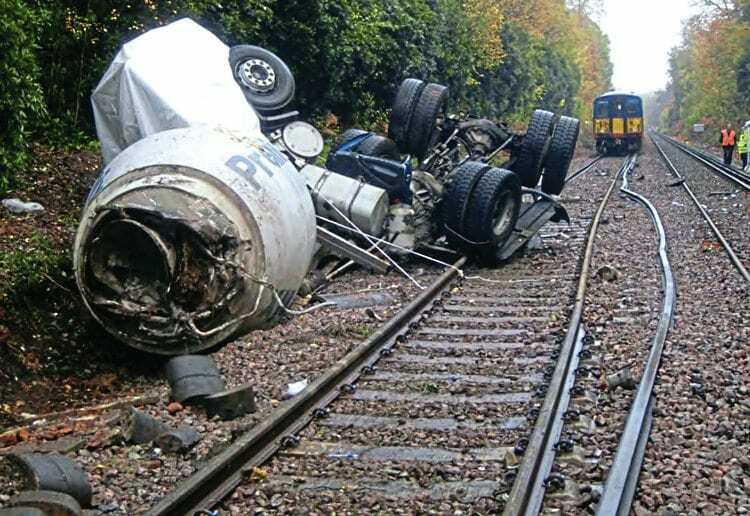 On November 5, 2010, a cement mixer collided with a bridge and partly demolished a parapet at Oxshott, Surrey, the mixer landing on the roof of a passing Class 455 EMU, damaging three carriages. The mixer driver was in his first week of unaccompanied driving. The following year, a bridge was wrecked at Fenny Compton by a crane jib on a low loader. It took out the bridge deck and the redundant siding above it. 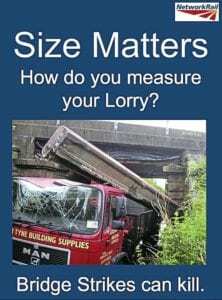 On February 22, 2015, an Eddie Stobart articulated truck had crossed a railway bridge near Froxfield, between Hungerford and Bedwyn, but was confronted with a canal bridge the driver considered too narrow to cross. 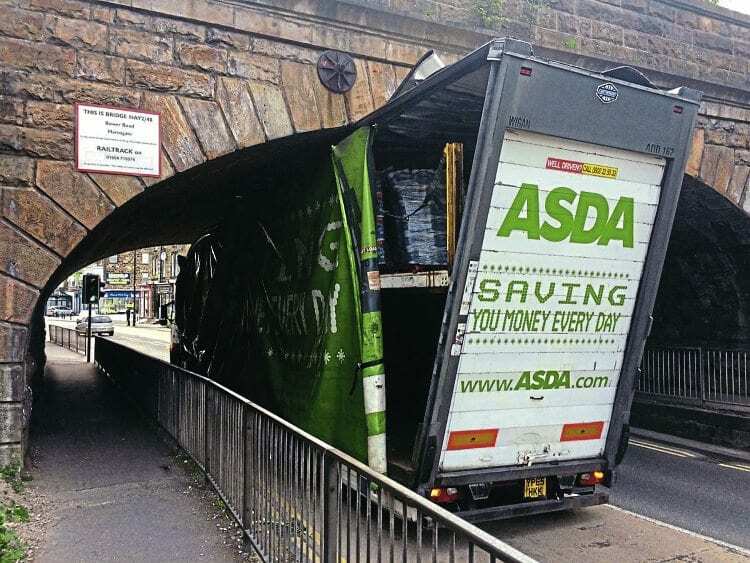 The lorry driver was reversing over the railway bridge without a banksman when the rear of his trailer struck a parapet and pushed it off the bridge. The parapet, weighing around 13 tonnes, fell onto the railway, obstructing both tracks. Although the incident was witnessed by a car driver, who alerted the truck driver and contacted the emergency services, because of a communications mix up, the 16.34 First Great Western service from London Paddington to Penzance hit the debris. 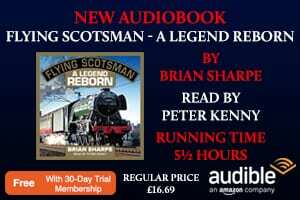 In the fading light, with the train travelling at 86mph, the driver spotted something on the track and applied the emergency brake. 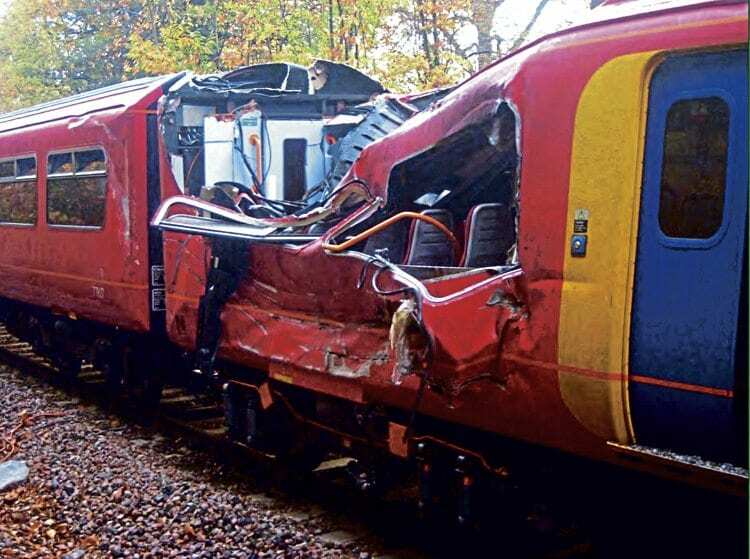 Too late to prevent impact, but the HST remained on the rails stopping 720 metres beyond the bridge, with the power car suffering significant damage. 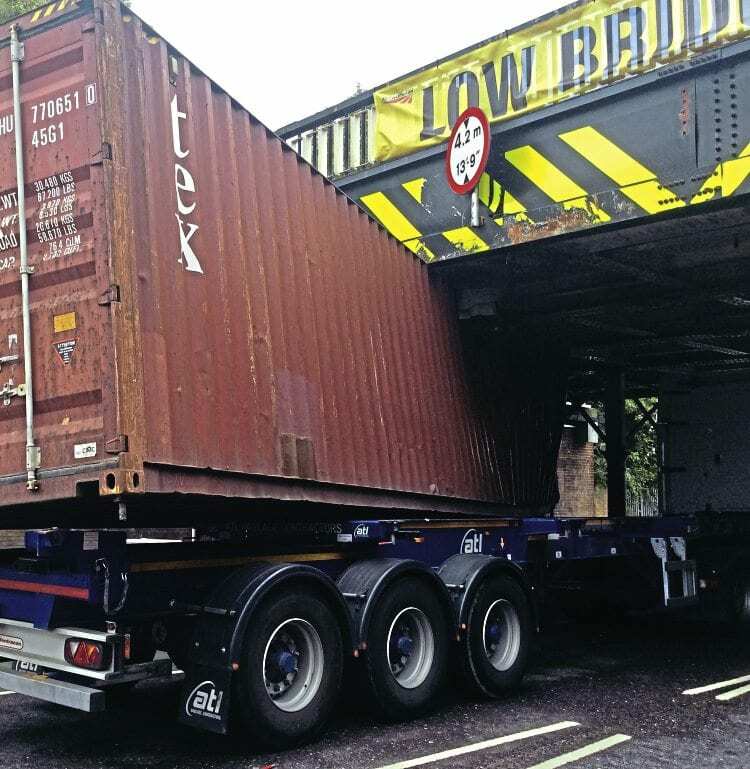 Although it was an unclassified road, there were no signs to warn that the road was not suitable for HGVs, plus there was no bridge plate with emergency contact details on it because the bridge had no history of strikes. Even so, it could have ended in tragedy. The RAIB investigation revealed the HGV driver had a car sat-nav running, though in evidence he claimed he was referring to paper maps. However, this has not stopped the Local Government Association calling for a ban on car sat-navs in trucks. 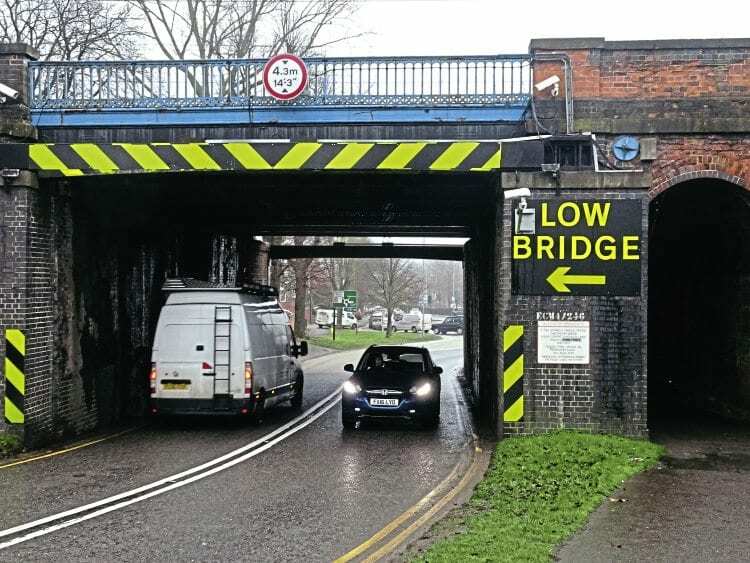 Since then Mark Wheel’s colleague Keith Ross (now retired) worked with local authorities to get them to improve signage while making sure its own bridge plates are in place and up-to-date. Keith put in place a number of key documents, many of which are available on both the Network Rail and Government websites. Also being verified are bridge heights, which are in imperial and metric measurements, with low bridges having black and yellow chevrons on them. A trial of LED signs with warnings for non-English speaking drivers has been ongoing at Thurlow Park Road bridge at Tulse Hill, and initial results are encouraging, with incidents more than halved, and none from December 2017 to March this year. Analysis by month of bridge strikes by NR shows that there are peaks in March and October, thought to be caused by the clocks changing, with darker mornings believed to lead to more accidents. There is also a peak in July, which is thought to be linked to an influx of agency drivers while the regular truckers are on holiday. Peak time for strikes is between 10.00-11.00, but remains high until after 18.00. Within the trucking industry is a requirement that every five years a driver undertakes 35 hours of training to renew their CPC (certificate of professional competence), and Network Rail has devised a module for the CPC training relating to bridges as part of awareness training. Network Rail maintains a list of its top 10 most hit bridges – see table on page 22 – and at a number of these steel collision beams are now installed in front of the bridge. These beams are designed to take the impact away from the bridge and cause the damage to the offending vehicle, rather than the structure itself, along with the risk of movement. Bridge strikes cost Network Rail around £12.7million every year in schedule 8 payments to train operating companies whose services are delayed. Contrary to popular belief, NR does claim back the cost of schedule 8 payments from insurers. 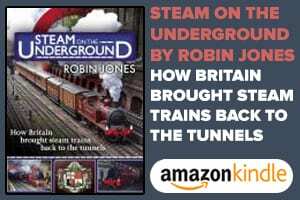 Historically, it struggled to do so, but after several court cases (Network Rail v Conarken and Farrell Transport , Court of Appeal  and Network Rail v Handy & Others ), the infrastructure owner is in a stronger position and aims to recover 100% of all costs. The flip side of this is that hauliers are now having to declare accident history for five years, just like car owners are required to do. This has led to some hauliers self-insuring for anything up to £500,000 in order to cut their premiums. What is the cost of a bridge strike? There’s no set figure but it could be as low as £100,000. However, in the case of a bridge at Rugeley, over the West Coast Main Line, that was hit on May 16 last year, the settle insurance settlemet was £704,000 – that’s no misprint! Because it is an extremely busy line, three quarters of the figure was made up by schedule 8 compensation payments and bridge repairs requiring a possession and closure of the WCML, making up the remainder. Looking to the future, work by NR’s bridge champions has led to increased interest in the issue by the NR board. In addition to a national advertising campaign that includes trucking magazines, there are social media campaigns, guides for drivers printed in seven foreign languages, along with closer links between Network Rail, Traffic Commissioners, DVSA, BTP and the local police forces on enforcement. NR has also been in contact with many well-known companies, including Eddie Stobart, DPD, ASDA, Yodel, Smith’s, Royal Mail, UK Mail, Hermes, Fedex, SG World, to offer presentations, and is also briefing bus and coach companies. Using new technology, work is taking place to develop smartphone apps that use GPS signals and give an audible warning of low bridges before drivers get to them. Historic records will be reviewed, as will road signage, to ensure any prosecutions can be enforced. Currently, legislation covering failure to comply with road traffic signs and careless driving is covered under Section 3 Road Traffic Act 1988, and carries a maximum fine of £2,500 as well as three to nine points on the offender’s licence, however actual enforcement is another issue. As part of this feature, under the Freedom of Information Act I asked Leicestershire Police how many drivers had been prosecuted in the previous five years for traffic offences connected to hitting the A5 bridge at Hinckley. The answer? None. And therein lies the problem. Incidents, disruptive as they are to the railways, are still not being taken seriously by law enforcement agencies, but work by bridge champions will hopefully change opinion and see drivers penalised. ■ My thanks to Mark Wheel and Dan Donovan for the insight, and providing the fascinating pictures. Access to The Railway Magazine digital archive online, on your computer, tablet, and smartphone. The archive is now complete – with 121 years of back issues available, that’s 140,000 pages of your favourite rail news magazine. 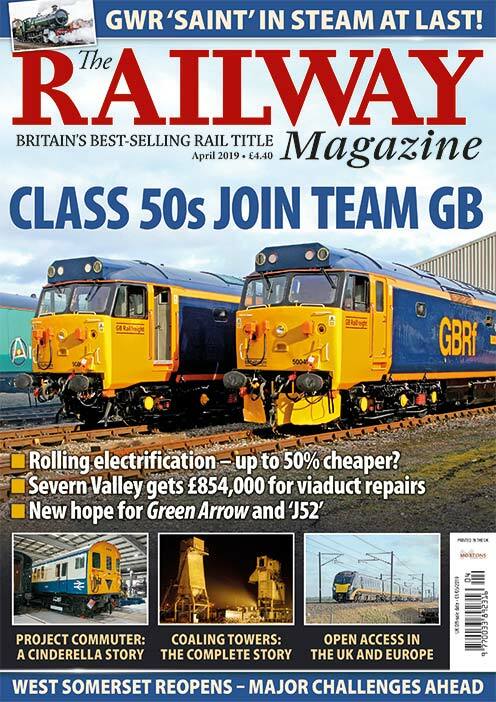 The archive is available to subscribers of The Railway Magazine, and can be purchased as an add-on for just £24 per year. Existing subscribers should click the Add Archive button above, or call 01507 529529 – you will need your subscription details to hand. Follow @railwayarchive on Twitter.